Combine the melted chocolate, ricotta cheese, vanilla, and the honey in a blender or food processor bowl and whirl until very smooth. 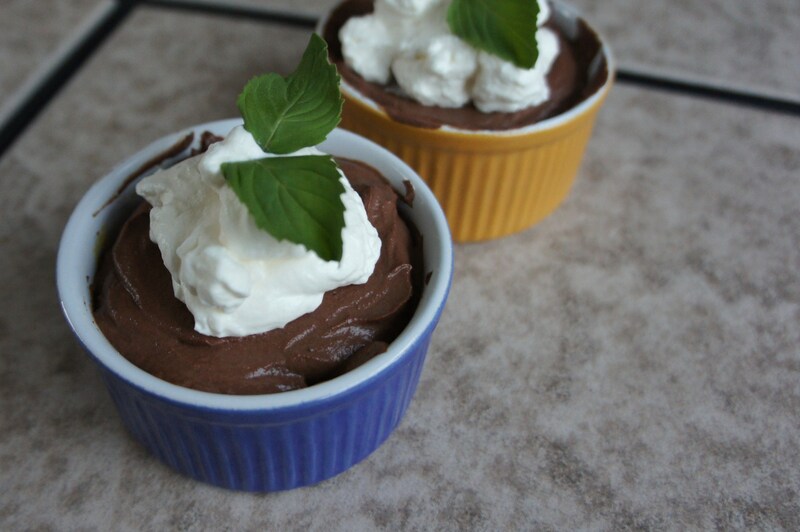 Pour into dessert cups and chill for at least an hour. 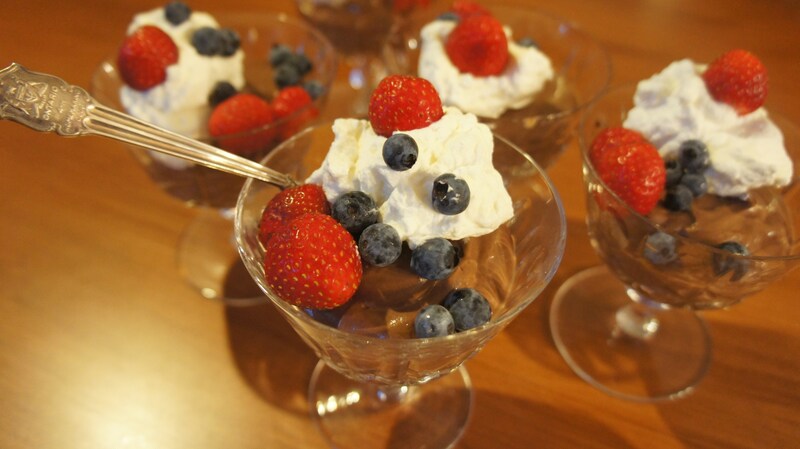 Serve the mousse with a dollop of whipped cream, and some fresh fruit, mint leaves and/or shaved chocolate. These won’t last long. Enjoy! 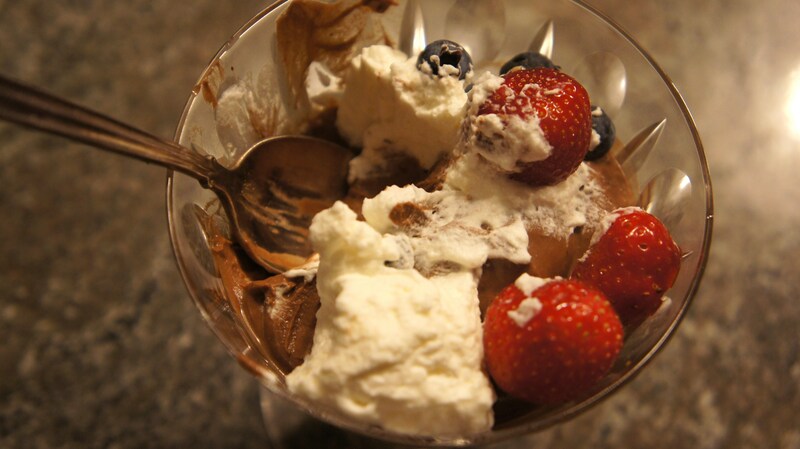 This entry was posted in Desserts & Indulgences, Food, Glorious Food! 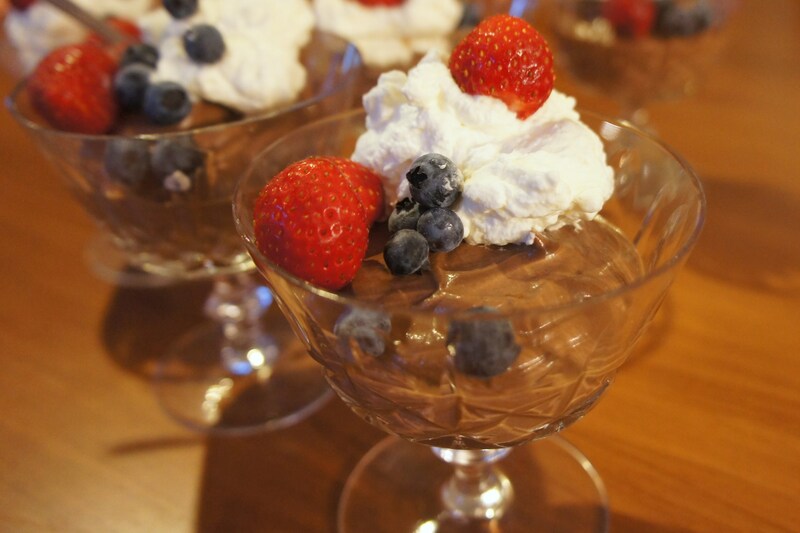 and tagged chocolate, chocolate mousse, easy, no bake, ricotta cheese by kshap. Bookmark the permalink. Katie. I am so sorry I missed you on Friday… your last day with us. I wanted to give you one last hug before you left. I really hope you come back to us again. I will miss you and I will think about you in Spain. Enjoy and love and eat and teach and laugh…..